Pickup Some Creativity: Kilz Clean Start Primer and a Giveaway---CLOSED! Kilz Clean Start Primer and a Giveaway---CLOSED! 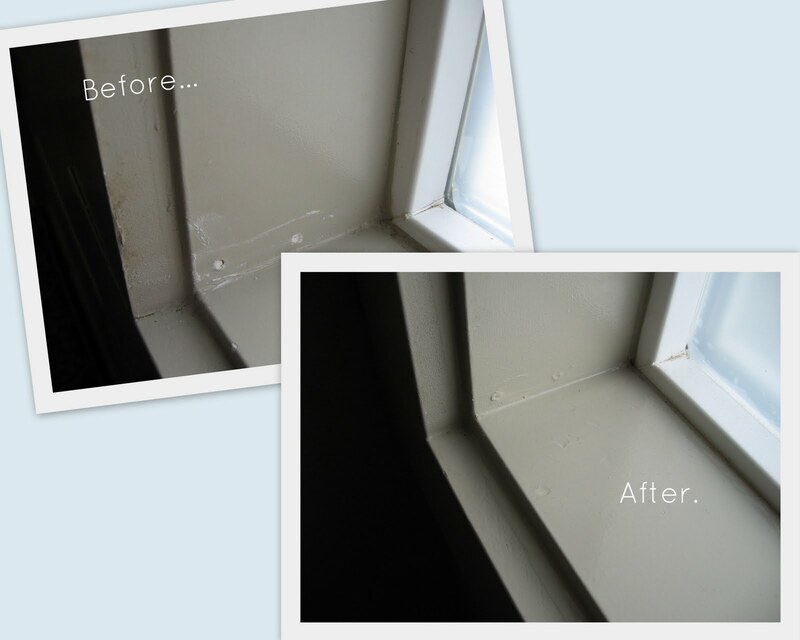 I was intrigued because when I repaired and repainted our half bath, I used the tried and true regular oil based Kilz primer. My papa always used Kilz primer, and so that's what I've always used for my small DIY projects. There are two big draw backs to the original formula. #1, it's oil based which makes for tricky clean up. #2, it works great but stinks, literally. I used the Kilz Clean Start Primer for two different projects. I built a floating shelf, using Jessica's modification of Ana's tutorial. The half bath needed some storage...any storage! After filling all the screw and nail holes, using wood filler for the gaps, and sanding A LOT, I was ready to prime. The primer went on very smoothly. One thing you need to understand about primer, it is okay for a bit of wood to show through. This is normal. 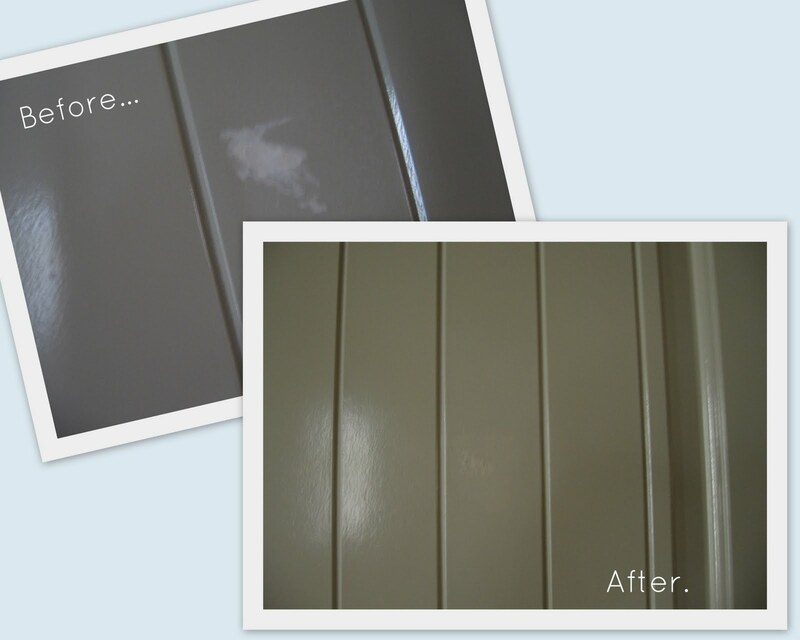 The primer dried quickly, and I then applied two coats of paint to match the trim in the bathroom. It took longer to wait for the paint to dry! While it did dry, I installed the guts of the shelf to the bathroom wall studs. Once the shelf was dry, it was a little tricky to slide it over the the supports. Trust me it's not going anywhere! Here's how it looks with the baskets to hold tp, and cleaning supplies. The metal canister holds borax for cleaning the toilet. I have been so pleased with how my shelf turned out! The second project was more tedious and time consuming. As you may have guessed, the previous owners did not take great care of this house. There were several places where the woodwork was damaged, and then there were the holes left from removing the ugly vertical blinds. Since all the woodwork was painted with an oil based paint, I was advised to prime the areas prior to painting. Kilz Clean Start Primer to the rescue! 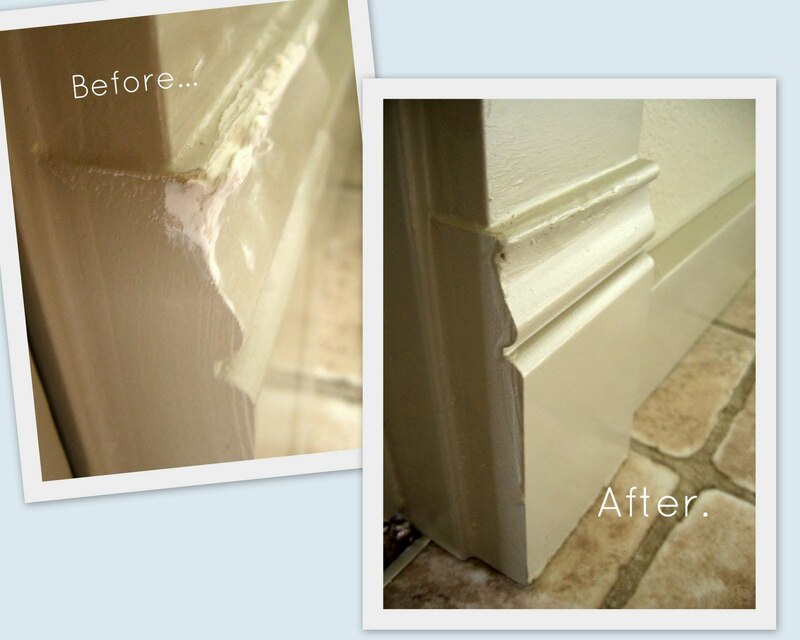 To repair the woodwork, I rebuilt the missing portions with wood filler and filled in holes and cracks with spackle. Then, I primed each area, and finally painted the problems. The results are not perfect or in original condition...but they look a ton better! Conclusion...I love this primer! It works great, does not stink up my house (it's even less smelly than latex paint), and I would heartily recommend it. Would you like to try some too? I thought so! I get to giveaway a starter kit to one lucky reader. We have to limit the giveaway to US residents because we're shipping a can of paint. To enter, leave a comment on this post. Simple and easy. Please be sure to include your email address so I can notify the winner. The giveaway will end May 31, 3011. Winner will be chosen via random.org. Good luck! Ooo! I'm in :) Your shelf looks fantastic, Chris. Love it! We are moving into a new house that has a lot of fix-ups to do also. I could really use this... thanks for the giveaway! This looks perfect. I have a small backlog of painting projects that I was going to wait on...I'm 8 months preggo. But no VOCs means I could use it! YEA!!! ...for non-stinky primer! I have a front door that needs repainting and is currently painted in an oil-based paint! I love your shelf and what you put on it! I never knew there was such a thing as non-stinky primer. That would be fabulous! Thanks for the chance to win! I am fixing to re-do my kitchen cabinents and this primer would really come in handy! Oh goodie, I amk ready to paint! Ooh! I would love to win this giveaway! Please enter me for the giveaway. Thank you so much for your tips and inspiration! We are in the process of buying a house, and a lot of painting is in our future. I would love to win! What a fun giveaway! Thanks for the chance. Your shelf looks fabulous and I still love your bathroom walls. Just what I need cause I want to try the bathroom counter top make over I will need this. Thanks to you, I am really itching to do some repainting of my furniture and desperately need primer. I love painting myself! I do it almost everyday! I also go through primer like crazy! What a neat giveaway!!! Thanks for the opportunity to win!! I'd love to give this a try! Awesome! I'm about to go on a painting frenzie - would love this stuff! I hope to win, we are doing tons of projects around our house, Im sure Id put it to use! oh i sure need this. i use kilz on most of my projects involving paint. thanks for sharing your review!!! My husband swears by Kilz and will not use any other brand of primer. Thanks for the chance! wow! How about coming to my house next? It all turned out great. Thanks for sharing about the Kilz. Love the idea of no stink. I would love to try this primer! Your projects look great! Count me in! :) I might actually paint something if I don't hae to deal with that nasty smell!! I'm still stuck that you installed the shelf yourself. Madd Skills! I need some. And yes, please pick me. I am a painting animal. Awesome! I'm about to paint a bed I'm building (loft bed, from Ana's site), and would love a head start on priming it! This would be such a great practical gift. Thanks for the chance to win. Thanks for the useful review of a product I wasn't familiar with. I've certainly used Kilz before, so I know its drawbacks. I'm impressed with your DIY skills, too. I wear the toolbelt in our house and I'm always learning new skills. My husband and I are building our own bed, and it would be great to use this on it. :-) Thanks for sharing! dude! i love your shelf! i would also love to try some primer!